Hello and welcome to weddingworksdirectory.co.uk, your one stop shop to everything related to weddings. If you are planning your own wedding, this is definitely the place to be right now. Our pages are packed with everything you need to know to ensure your big day goes off with a bang. Your wedding should be the best day of your life but it does take some planning to ensure that everything goes according to plan. You can learn the best wedding venues, how to dress for your wedding, the best honeymoon destinations and much more. I believe that organization is key and you should start planning your wedding in advance so that you can get everything exactly how you like it. In the UK and beyond, there are many beautiful places to get married that you can choose from. There are also so many options out there in terms of theme, how everything looks and the atmosphere in general. Nothing is off limits when it comes to weddings; don’t stick to the classic just because you feel like that is what is expected of you. The vibes on your wedding day should show off the personality of you and your partner so keep that in mind. It’s also important that you plan your wedding to suit both your lifestyle and your budget. 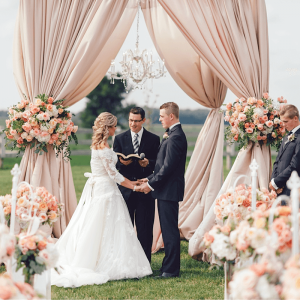 Feel free to explore these pages so that you can be more informed on weddings and plan accordingly, which should help take some of the stress away from the occasion.